Jeep Australia has announced that it is making a five-year warranty, lifetime roadside assistance and capped price scheduled servicing standard across the entire Jeep range. The package, dubbed the ‘Jeep There & Back Guarantee’, is a bold move designed to knock recent reliability concerns on the head and inject some life into the brands recent sales collapse. All MY17 Jeep vehicles sold in February 2017 will come with a fully transferable, five-year manufacturer’s warranty. MY16 Jeep vehicles sold from February 2017 will combine the standard three-year manufacturer’s warranty with a two- year extended warranty provided by Eric Insurance Limited. Jeep Australia is also offering all new Jeep customers free roadside assistance, which will continue on after the warranty period has expired for the lifetime of the vehicle, provided the vehicle is serviced within the authorised Jeep dealer network. Anyone that purchased an MY15 or MY16 Jeep before February 2017, can elect to buy a plus-two year extended warranty, coupled with an additional two years roadside and five-years capped price scheduled servicing for $1950 (incl GST). MY15 & MY16 customers will be eligible for Jeep’s lifetime roadside assist if they service their vehicle though the Jeep dealer network after their warranty has expired. In addition to the five-year warranty and lifetime roadside assist, Jeep Australia has streamlined service intervals for 2017 models, claiming that advances in production, materials and supplier processes makes extended intervals possible. The revised service intervals are 15,000km or 12months for petrol models, and 20,000km or 12months for diesel models. 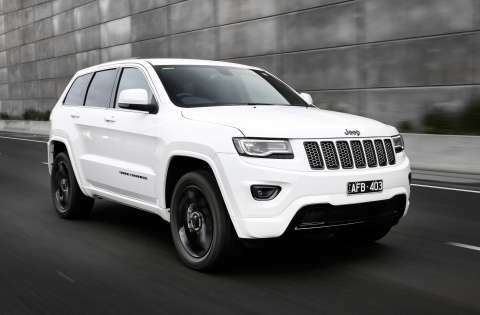 Jeep Australia, in conjunction with Mopar, has introduced the following servicing plans: 3 Year Easy Care pre-paid scheduled maintenance plan, 5 Year Easy Care pre-paid scheduled maintenance plan and the Oil Care pre-paid plan for oil and filter changes. The Jeep There & Back Guarantee goes live on Friday 24 February.